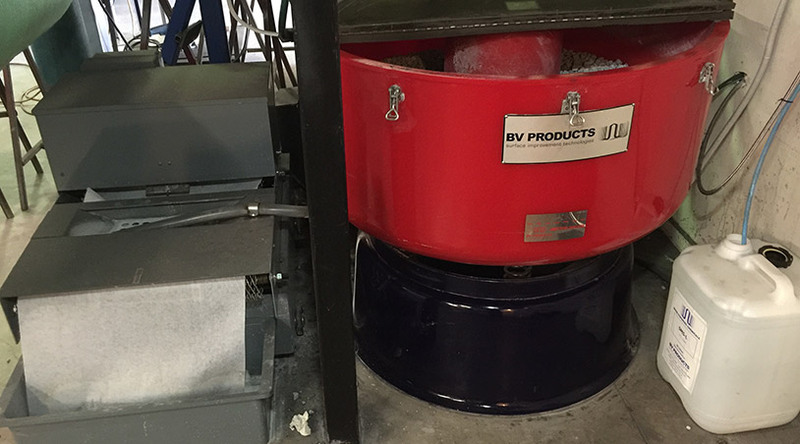 Our vibratory rumbler adds another dimension to your laser cut parts. If you need the corners rounded off, the burrs removed or the surface finish made consistent, we can run them through our rumbler for an hour or two. We have received your query and will be in touch shortly. 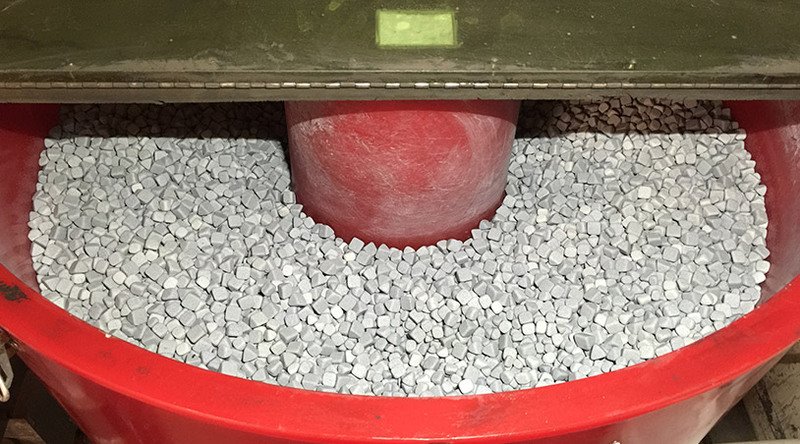 Using tetrahedral ceramic blocks and a specialised liquid chemical, parts are tumbled around a circular bath until the desired surface finish is obtained. All metal laser cut parts are able to be put through the rumbler and the degree of abrasion is adjusted by simply increasing the operating time. Maximum part size: 200mm x 200mm approx. What does the liquid chemical do? It is slightly alkaline which helps clean the abrasive blocks. It also lubricates, prevents foaming and inhibits rust on mild steel parts. Are long and skinny parts able to be rumbled? Quite possibly – the best way is to drop in with a sample and we’ll give them a try. Anything longer than 500mm will definitely not fit. Does it cost extra for rumbling? Yes - but for a decent quantity, it will likely be less than a dollar per part. Send us a quote request and we’ll work out a firm price for you.